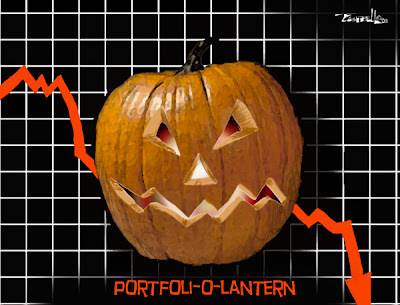 Speaking of Halloween, my buds over at Humor Bloggers Dot Com are getting their ghoul-on this week. Drop by to see what the rest of the crew are doing each and every day leading up to the big night. Tell 'em Dufus sent ya. I would love to be able to draw a cartoon and make the world "get it." I loved these. My captcha word is almost colon. (coloine) Goes right along with politics doesn't it? ettarose: Great to see you out and about. Thanks for taking the time to visit. 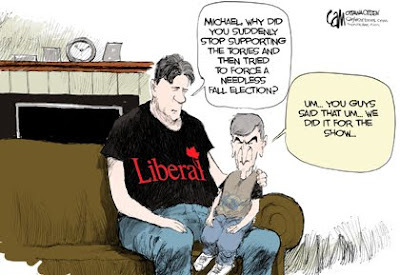 One of my favourite moments of the week is reviewing the week's editorial cartoons to see which make this post. Glad you enjoyed them. 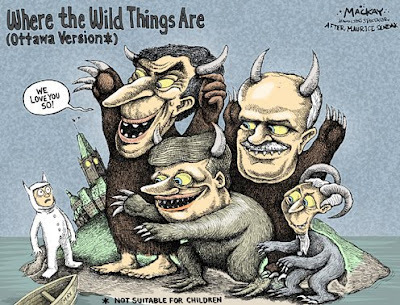 You always find the best Sunday Funnies! 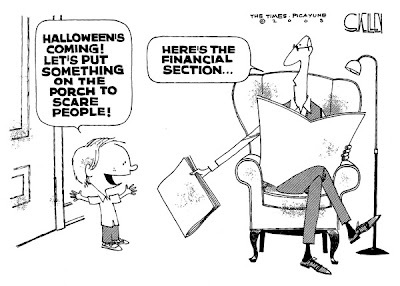 My fave is the scary Halloween costumes, witch, frankenstein, financial advisor! LMBO at all of them, but this one had me rolling! Quirks: I liked that one a lot too. Loved third from the bottom. All of those are spot on. At least the ones I understand. 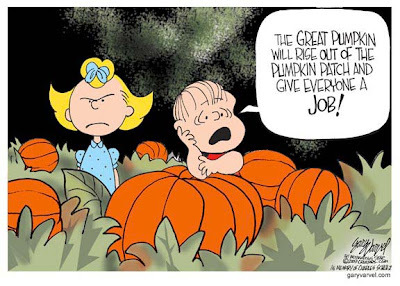 Don: Yep, the economy's mighty scary these days. Reading you great comics just make my day.I enjoy them.I like the one with the 3 costumes. 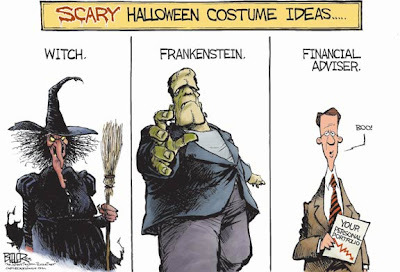 The witch,Frankenstein,and the financial adviser.That is a scarey thought.HA!HA! Donna: That one seems to get a lot of laughs. 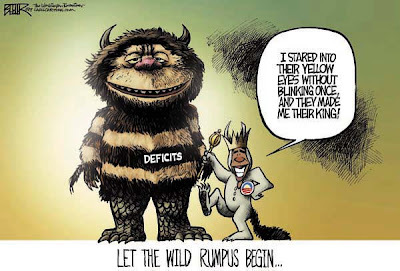 Skye: Interesting how many cartoonists chose the economy to scare us. Does art imitate life?